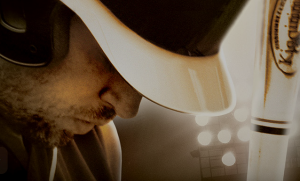 #homerunthemovie Coming This Friday to a Theater Near You!! Review and Giveaway! Are you looking for a great family film to enjoy with your family?? Sometimes it’s hard to know beforehand what will be a great family flick to see. Well I have been given the opportunity to review an upcoming faith based movie that is a sure fire home run for the family!!! It’s opening in theaters this Friday April 19th 2013 and to find showtimes and theaters just click here. Home Run is a movie staring Cory Brand who is a pro baseball star struggling with alcoholism and problems stemming from his home life as a boy with his alcoholic father. After a series of alcohol related events Cory is suspended from his team and forced to coach his brothers little league team and attend a recovery program called Celebrate Recovery. While being reunited with his family and old friends Cory begins the journey of taking control of his problem and realizing that it is not something he can conquer alone. With help from the program, his family and friends, and God, Cory starts the process of putting his life back together realizing that everything he had before was not what he really wanted. It is a story of survival, recovery, moving on, bettering of oneself and finding and understanding the greatness that you can achieve with Gods glory. It shows that out of hard and difficult times and situations God is there with his loving arms open to help you be the person you were meant to be. There were a few parts of the movie that you may not want your young children to watch, drunken scenes and a mention of sexual abuse while in counseling. My oldest is just turning 13 and with the way the world has changed and what she will be tempted with in the upcoming years I was proud to watch it with her and let her see what alcohol can actually do to a person and how it takes much work and dedication and help from a loving God to pull yourself out of it. The cast was spectacular and the movie was wonderfully made. I felt that the movie was more about alcoholism and working through problems from the past and present than God but God indeed was the one there in the end lending his helping hand and loving heart to change a man from a drunken unhappy person to a loving, family oriented young man. There were a few slow parts but I was drawn to the t.v. the whole time and didn’t even get up to grab a drink. I felt every emotion that I can think of and then a little more. The movie left me feeling wonderful with great hopes for the future. For more information about the movie Home Run click here. Remember the movie starts this friday April 19th. To find a showtime in your area click here. You can also follow them on Facebook here. I have a brand new copy of the book Home Run, a music CD from the movie and a T-shirt to give away to one lucky Sister’s Saving Cents fan. All I ask is for the winner to live in the US and be 18 or older. The prize will be shipped by me. Please enter the Rafflecopter form below for your chance to win. It sounds like a great movie to watch!! I will put it on my must see list!! Yes, I’m planning on seeing it. Sounds like a really great movie for the whole family. I know my mom would like to see something like this. Maybe I will take her to go see it. Thanks for the review! This is the first I’ve heard of it! I had never heard of it until now, but it sounds like it would be worth watching. Plan to see it. Looks like a great movie! Sounds like a great movie. Yes it sounds like a good movie! Sounds like it could be good! We will probably watch it after it comes to Redbox. If it comes to a theater close to us, we will go see it. Would love a good family movie to share on our movie night! I think it sounds wonderful and yes, we will see it. We need more positive and faith based movies! I’d give it a shot. Yes, I plan on seeing it. I don’t know if i plan to see Home Run. Would love to win this:) Definitely plan on seeing this movie! I’d like to see it, but no plans right now. This would be a wonderful gift pack to win! Thanks so much for the opportunity. Saw it this afternoon with the family. Loved it! Please have the Director and/or Producer’s of HOME RUN THE MOVIE contact me ASAP. My wife and I are going to see HOME RUN THE MOVIE on Wednesday during our trip to Florida. If I win, but as a full-time student, I am having to be conservative with money.